Paris street art is very original and diversified thanks to the artists that differentiate themselves one from another. Each Parisian artist has its unique style and each creation will tell you a different story. 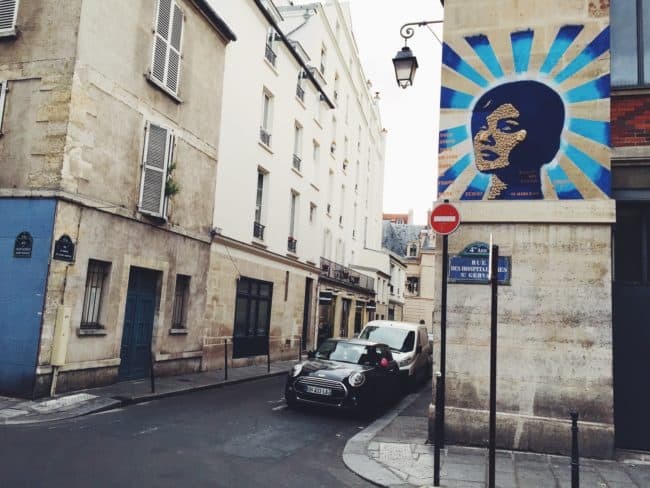 You have no clue how many surprises you can get roaming Parisian colorful streets decorated by artists! There is so much to discover! 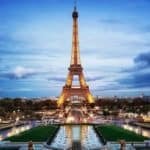 I want to share with you my opinion about Paris street art, because it is not getting the attention it deserves! People are used to seeing Art in museums and galleries. The common idea about art is that it has to be done on a canvas or can be a sculpture. When people talk about Art, they think about their favorite painters such as Salvador Dali, Pablo Picasso, Leonardo da Vinci, Vincent Van Gogh, and many more! This common idea leads people to think that Art can only be found in the Louvre Museum, the Orsay Museum, the Picasso Museum, for instance. 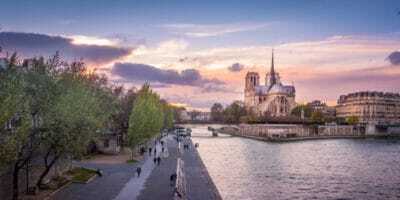 When, in fact, Paris is one of the richest cities in the world in terms of Art. Paris breathes Art. Art cannot only be found in museums or galleries but all over the place. Consider yourself lucky! 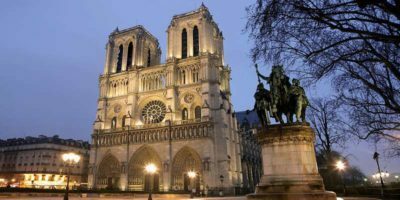 In Paris, you can admire in museums and galleries the masterpieces that marked History, but also works of art in the streets that define Paris urban culture. Paris street art comes on stage! 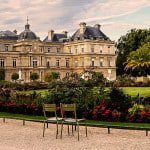 >> Read this article if you want to know the best way to visit the Louvre Museum. 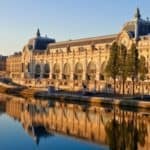 >> Check this article if you want to know why is the Orsay Museum such an interesting museum. 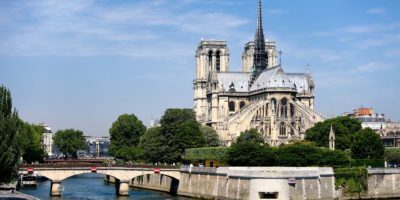 >> Click on this to discover everything there is to know about Parisian art galleries. What comes to mind when you think about street art? Life happens on the streets. Why wouldn’t Art? As Allan Kaprow said, “the line between art and life should be kept as fluid, and perhaps indistinct, as possible”. According to the Oxford dictionary, art is defined as followed: “the expression or application of human creative skill and imagination, typically in a visual form such as painting or sculpture, producing works to be appreciated primarily for their beauty or emotional power”. Acts of art and creativity happen every day. The way we dress, the way we express ourselves, the way we walk, the way we think, are acts of art. We send messages to the world by the way we carry ourselves. Our personalities and opinions are spread to society on a daily basis. Some of us were brave enough to leave their marks on the streets, to post their opinions on Paris walls and buildings. Who are they? What messages are they trying to send? Read on to find out. How is street art received in Paris? 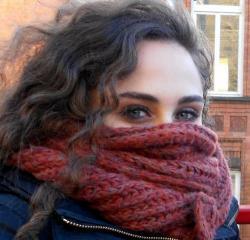 You need to know that being a street artist is kind of dangerous because it is punished by law. 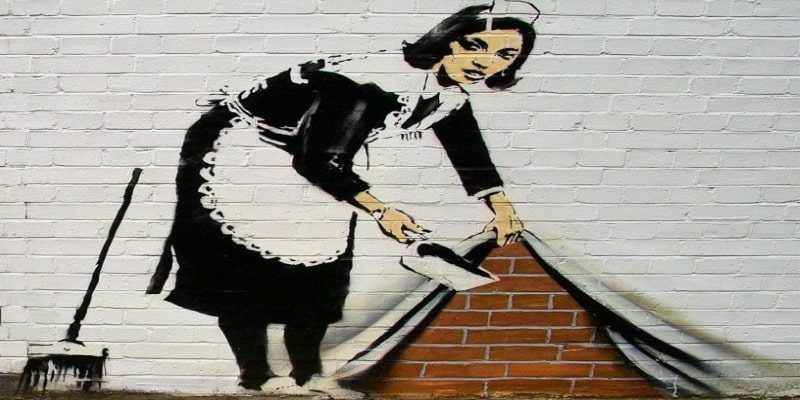 To tag on the walls of the city without the prior permission is illegal. Street art is considered as damage to public property. If the artist gets caught, he may be sentenced to fines or imprisonment. For years, Street art was regarded as vandalism because it was mistaken with tagging. Street art is still a short-lived form of art but is, nonetheless, much more approved than before. Street art is seen as a brand new form of art. People are more interested in it than ever before and the street artists are increasingly being accepted. Some of the street art works are erased and washed away but new street art works keep appearing over and over again. It is what makes the visit of Paris street art emblematic neighborhoods even more interesting and special! Our street art tour is really a “surprise box”. I strongly advise to join in our tour if you’re insterested. Street art works and its artists introduced during the tour are original and unprecedented! The possibilities and surprises are illimited because they are constantly changing. New and innovating elements are regularly added to our street art tour! In my opinion, Paris Street Art is unique and should be cherished and preserved. Street Art makes a walk in Paris much more entertaining and interesting. It is the most modest and affordable art exhibition! Paris street art tells us a different kind of story than the usual. 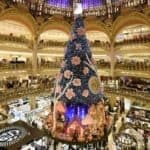 It’s as if actual Parisians, actual inhabitants of Paris were talking to us through pieces of art exhibited on the streets! I think it is a raw and honest conversation with the Parisian urban lifestyle. To see and admire street art works shows a more human aspect of Paris, less touristy and mainstream. 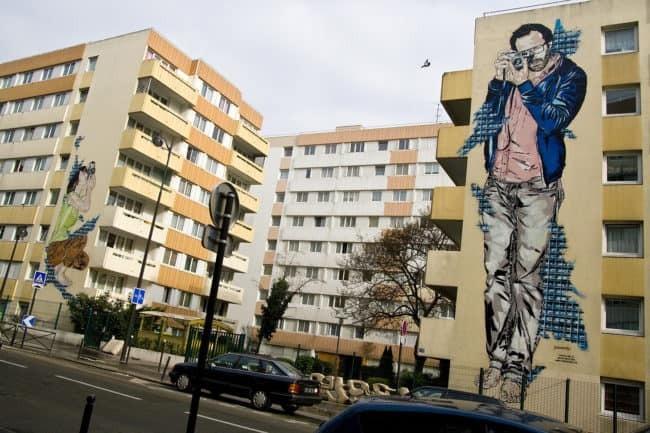 Who are the most important figures of Paris street art? Mister Pee was born in 1975. Since his early age, his parents shared with him their interests and introduced him to artistic fields such as cinema, literature, painting and photography. Greatly influenced by the Hip Hop movement, at age 14, he started tagging with his friends inside Parisian buildings. Mister Pee draws his inspiration from artists like Basquiat, Keith Haring and Egon Schiele. His sense of humor allows him to produce the most original works. Mister Pee is an artist of many facets. He draws, paints, does collages. He shares with us his perspectives on life thanks to his colorful, vibrant productions. He always tries to find ways to stand out and focuses his works on reflecting upon the meaning of freedom. Mister Pee already got two exhibitions dedicated to his creations: at the Sin Glin Gling gallery in Paris and at Adamastor Studios gallery in Lisbon. Seth was born in 1972. During the 90s, he used to hang out in the streets with his friends: while his friends were tagging, Seth would be drawing hip hop-inspired characters from his imagination. In 2003, he decided to go travel around the world during 9 months. He wanted to learn more about street artists from other cultures and share with them his experiences. Thanks to this adventure, he published a book called “Globe Painter” in which he tells us about his journey through painted walls and street art creations around the world. In fact, each of his paintings tells us a story. Seth always tries to pick the perfect spot that will highlight the most his work. The spot that will catch the pedestrians attention. I think that he carefully chooses the right spot because he is giving his painting a new home. He pulls his “idea” out of his mind and posts it on Paris walls (and many other cities). The selection of the paintings locations is essential for Seth. Once the painting is done, it will live on in the location Seth decided to give to it. The fact that each of his works tells us a little more about the city or neighborhood it lives in is what makes his delicate and sophisticated style so remarkable. Hopare is a franco-Portuguese artist born in 1989. 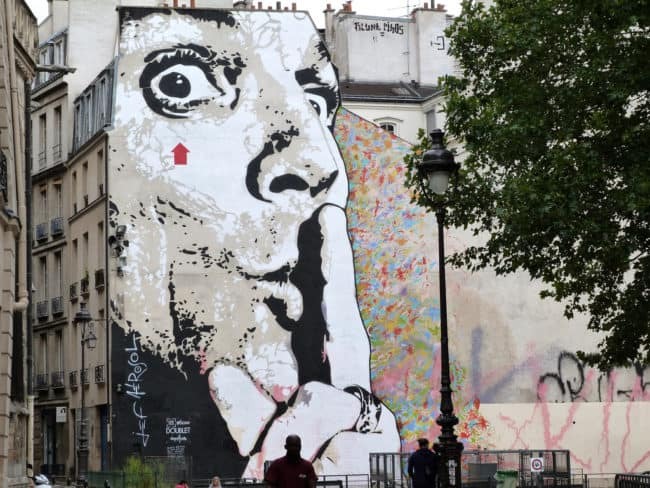 He is gaining an increasing popularity in the Paris street art scene. As a young boy, he already liked to tag the cities walls. Shaka (a famous street artist) was his art teacher in middle school. He is the one who triggered his passion for street art. Both artists started hanging out together, practicing and painting the city. This relationship allowed Hopare to refine his style. Furthermore, he then started working part-time for an architectural company in which he got to clearly define his abstract and graphic style. Straight lines and vibrant colors are recurrent in Hopare’s works. Hopare, this multi-faceted artist, believes that street art and freestyle production make artists feel free and are the best way to embellish our grey streets. He gets his inspiration from his social interactions that is why the human face is the protagonist of practically all of his works. I believe that if you get the chance to admire one of his works for real, you will remember his unique style for the rest of your life. 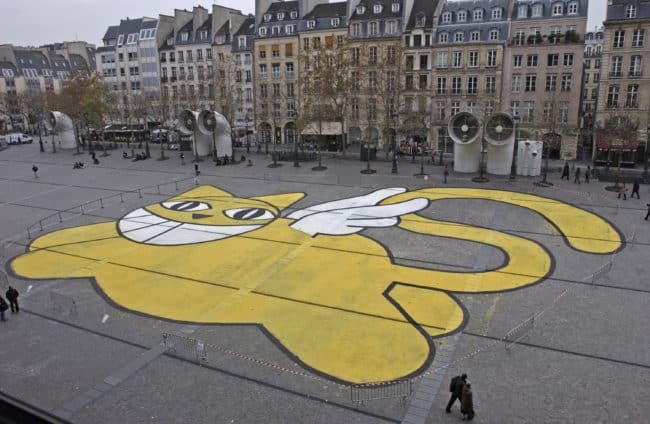 For one decade, he has been drawing his big stylized cat all over the streets of Paris. The advantage of the street art is that the paintings are seen by many people every day. These people get familiar with street art productions so a street artist can quickly become very famous. Mr. Chat’s cat is iconic and if you pay attention, you are likely to find many of his paintings while walking in Paris. In my opinion, he is one of the funniest Paris street artists. He has a great sense of humor and uses it to make fun of road signs! Clet is a street artist who put his stickers all around Europe, but mostly in Paris. 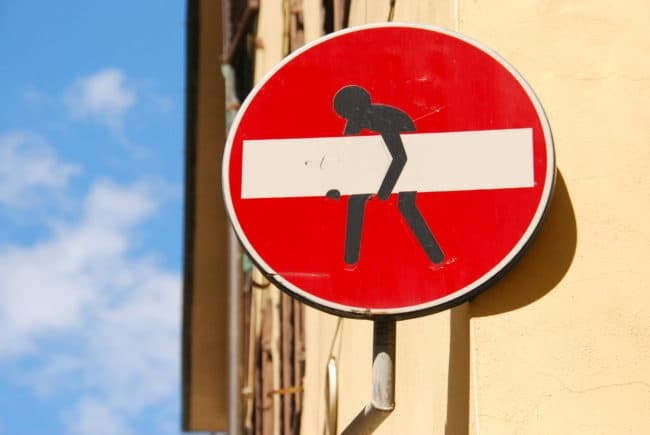 If you closely watch road signs in Paris, you will probably see one! 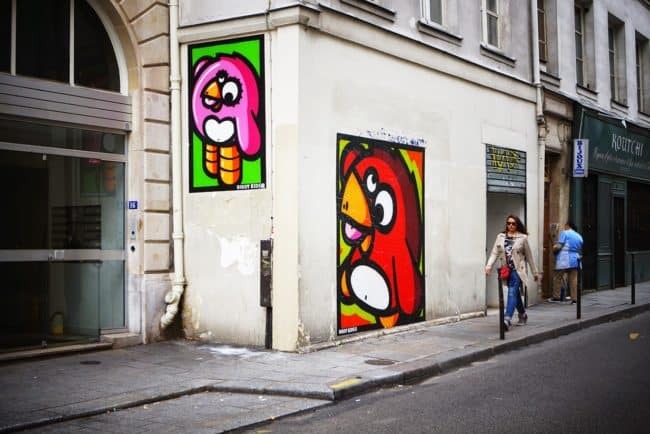 These birds in the city first appeared in the Marais neighborhood! They are my favorite because the characters represented are so cute and fun. Their flashy colors create a great contrast with the old beige stone buildings in Le Marais. What makes street art so original is the fact that it exists to show the creativity of the neighborhood it lives in. That is the main reason why I love Paris street art! If you are interested in Art and Parisian artists, you should go to the 59 rue de Rivoli. 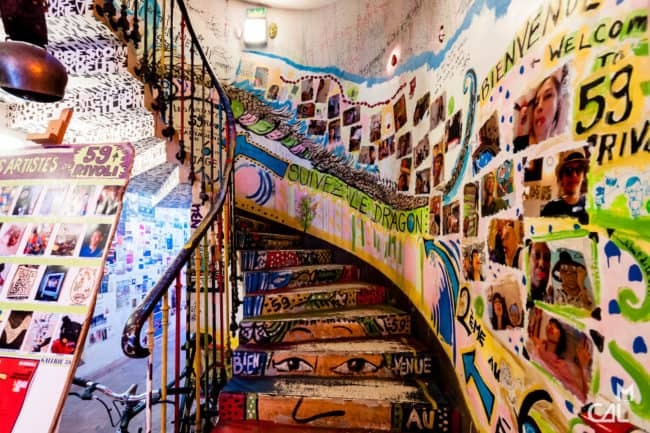 It used to be a squat, but thanks to the increasing popularity of the artists, it is now a building where many artists (street artists included) live together and exhibit their works! Feel free to visit 59 rue de Rivoli, because it’s totally worth a visit! You can take a close look at the artist’s creations and get to know them. 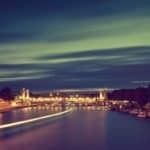 You can get there through the 1, 4, 7, 11 and 14 metro lines, getting down at the Châtelet metro station! Paris street art is unique and exists for good reasons. Street artists share with us their perspectives, their feelings, their story and their style. And, believe, they have so much to show and tell us! In my opinion, Street art is pretty cool. Instead of looking at gray buildings and ugly walls, street art provides a dynamic atmosphere. It could be seen as an open air art exhibition. I like to take long walks in Paris come face-to-face with artists creations, such as Seth, Hopare, Mister Pee, Invader, Miss.tic, or Gregos. They make walks much prettier and funnier! If you want to find out more about Paris street art, I highly recommend you to join our street art tour. You will discover everything about Paris street art! Whether you are a street art lover or a street art first-timer, the street art scene will no longer be a mystery! Who knows? Maybe it will awake new passions within yourself!